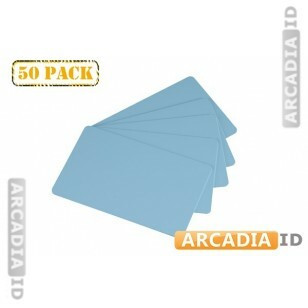 Order these packs of 50 blank ID cards in light blue and you'll be able to create new photo IDs for your staff and for your guests as you need them. These cards looks great and are made from high quality materials. Rapid delivery on all products.